Spouses are a Big Part of the Joe Bullard Family. 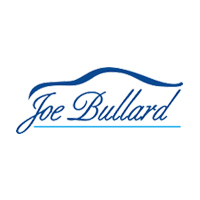 Honoring Our Military Every Day Why You Should Choose Joe Bullard Dependability at Joe Bullard I am Joe Bullard – Lee Dell Scarborough Spouses are a Big Part of the Joe Bullard Family. Mrs. Pam Pittman at INFINITI of Mobile Roosevelt Harris is Joe Bullard What is Joe Bullard?